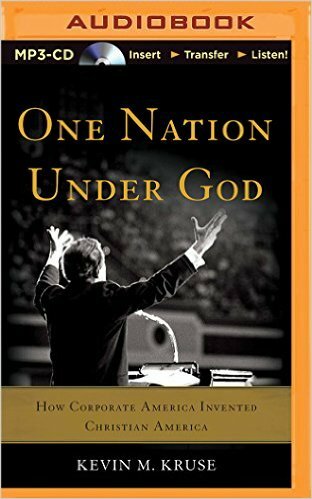 I have been reading Kevin Kruse's history of mid-20th century religious history in the United States, "One Nation Under God." It's an eye-opening book, and while it rarely mentions Unitarianism, or the new Unitarian Universalism, it illuminates the context in which our faith tradition formed itself . Much of the current thinking about the position of the church (meaning organized religion, in general) in American culture starts back in what seems the Golden Age of the 1950's. Church attendance and membership was at an all-time high, and many churches were prosperous. Ministers were respected professionals and their sermons might be reported in the local newspaper. When we compare our present situation to that, it looks like things have gone to hell since then. There is a growing awareness that the 1950's were an anomoly, the peak of religiosity in history, not the norm. What Kevin Kruse shows, though, goes further. The 1950's religiosity was the result of decades of effort by the leaders of industrial America, many of whom were not particular religious themselves, to turn popular consciousness against the New Deal, unionism and social democracy. Kruse talks about two stages of their history. 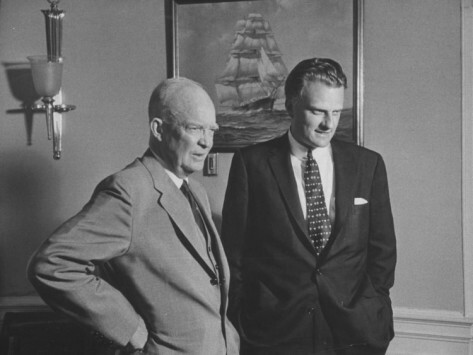 Under Roosevelt and Truman, industrial leaders subsidized and encouraged clergy who developed a theological position that Kruse calls "Christian Libertarianism." Christian Libertarianism combined the Protestant emphasis on individual salvation, Christian liberty, with an analysis of the state as a form of pagan idolatry. It was a very exalted form of individualism in which each person should be self-sufficient. To turn toward collective effort, through the government or in a union to secure one's interest was to turn away from God, and to violate the first commandment. Christian libertarianism successfully recast the industrialists' chafing at New Deal regulation and fear of rising unionism as a spiritual struggle for each person. 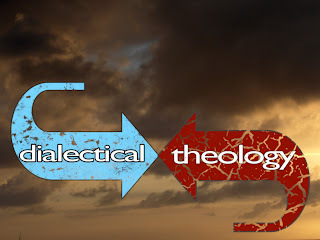 Prior to the emergence of this elite sponsored Christian libertarianism, Protestant public theology in America had been a struggle between the turn of the century formulation of fundamentalism and the Progressive era's Christian social gospel. 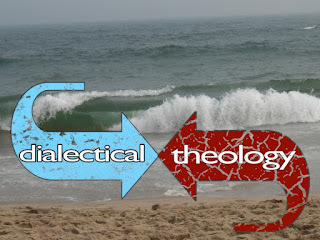 Christian libertarianism co-opted the fundamentalists and combatted the social gospel. Dwight D. Eisenhower in 1952. Now that the government was in hands of pro-business officials, the religious analysis of the state was reversed. When led by religious men, like Ike, the state served God's purposes of freedom and self-sufficiency. Once inaugurated, Eisenhower led a comprehensive effort to invest the American government with religious and spiritual authority. He described himself as a spiritual leader leading a spiritual renewal of society. It was during the first Eisenhower term that highly symbolic steps were made to identify the government with God. "In God We Trust" was added to the currency. "One Nation Under God" was added to the Pledge of Allegiance, which became, for the first time, recited by millions of school children every day. The National Advertising Council, which combined the efforts of the nation's leading advertising agencies and was funded by the largest corporations in the country, ran public service announcements urging one and all to attend religious services. By 1960, church attendance shot up to its peak: 69%. A powerful alliance was developed between the leading industrialists of the country, the government and the churches, especially the mainline churches. It successfully imposed an established religion of vague theism, pro-government, anti-communism and individualism on the American people. Huge gobs of cash flowed from coffers of the largest industrial concerns into this effort to mold public opinion. The Cold War was a part of the motivation. But one of Kruse's contributions is to show how this flowering of religiosity was built on organizational foundations and theologizing more aimed at Roosevelt than Stalin. What I take away from Kruse's history is that the rise and fall of popular religious trends in the US are not isolated events, nor the product of sociological developments, but are created by the deliberate interventions in the religious sphere by the wealthy and powerful. 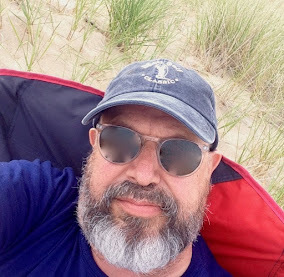 Kruse does not concern himself with Unitarian Universalism, but questions arise. What are we to make of the fact that Unitarian Universalism was created through merger at the very peak of this flowering of state-supported and state-flattering religiosity? Certainly, all churches were then being helped by public expectation that everyone was a church-goer. It was a good time to be in the religion business. And, Unitarian churches had been the refuge for years for non-believers who needed somewhere to go on Sunday morning. And, some U or U churches fit right into the profile of a successful mainline church, even though the doctrine preached was not quite orthodox. But other UU churches and fellowships were in active resistance and defiance of the elite sponsored popular piety. They were not part of "one nation under God." As I read Kruse on the expensive and ambitious efforts to promote a elite-sponsored religion among the people, I began to see mid-century humanism (and the Fellowship movement) as a form of cultural resistance. And so, right from the beginning, there were competing aspects within Unitarian Universalism: the cultural respectable liberal end of the establishment but also a center of counter-cultural resistance to the official piety. And if these contradictions were not enough, at the same time, the Civil Rights Movement was re-asserting the power of the social gospel. The social gospel would divide Unitarian Universalism, and even most of the more liberal mainline. And as the sympathies of the mainline churches turned toward the social gospel, the wealthy and powerful would break their alliance with the mainline churches and turn their efforts toward the support of the evangelical movement. I am currently reading up on role of financial elites in destruction of Mainline Protestantism during the Reagan era. I will be telling that story soon. On the other hand, mainline Protestantism is still there, its reduced number of adherents arguably well compensated by no longer being tied to the plutocrats' agenda. And here we are as well, still small but not shrinking, and definitely not marching to the plutocrats' beat. Small victories perhaps, and costly and painful ones in the case of the mainline denominations, but victories nontheless. P. S. Thanks for the book recommendation. I have just started it and I can already see that it's going to be fascinating.